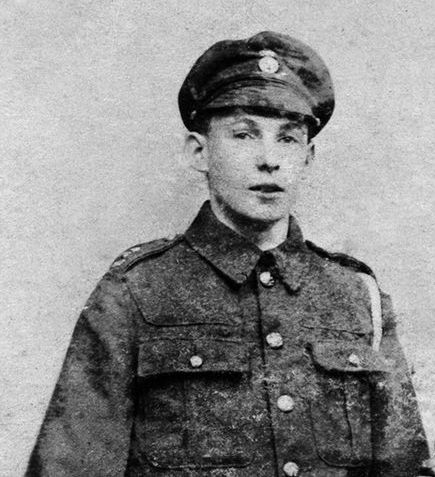 Almost exactly 100 years ago, at 6:25am on 25 October 1917, a terrible thing was done to a young man from Glynneath named William Jones. A group of soldiers from the Worcestershire Regiment formed a firing squad and shot him dead as a punishment for deserting his post on the Western Front. William, probably a miner, had volunteered for army service aged eighteen (or perhaps less, if he wasn’t telling the truth) in October 1914, responding to Lord Kitchener’s insistent plea for new recruits to fight on the Western Front and elsewhere. He served as a private with the 9th Battalion Royal Welsh Fusiliers and was working as a stretcher-bearer in Belgium. He had just finished helping wounded soldiers at Messines Ridge when he went missing on the evening of 15 June 1917. The job of a stretcher-bearer was dangerous and very distressing. His job was to locate and remove from the battlefield soldiers who were injured and transport them to dressing stations and makeshift hospitals immediately behind the front – as well as to recover dead soldiers, or what remained of them. It’s hardly surprising that the experience proved too much for many stretcher-bearers, especially for a man like William who had been exposed for so long, as Gwyn Jenkins says in his book Cymry’r Rhyfel Byd Cyntaf, to some of bloodiest conflicts on the Western Front. Today we would say that he suffered from post-traumatic stress syndrome. On 4 September William handed himself in at Neath police station. Perhaps his family persuaded him to give himself up, in the hope that he would be forgiven and accepted back into the army. From Neath he was sent to the assistant provost marshal at Bristol, interrogated, charged and sent for trial in a military court in France. It appeared that he had deserted his battalion once before, in January 1917, escaping the death penalty. William made a claim that he had been wounded in France and evacuated to England, but there was no evidence to support it. The court paid no attention to William’s explanations or to the testimony by a friend to his good service, and this time failed to show mercy. It convicted him of desertion and condemned him to death. 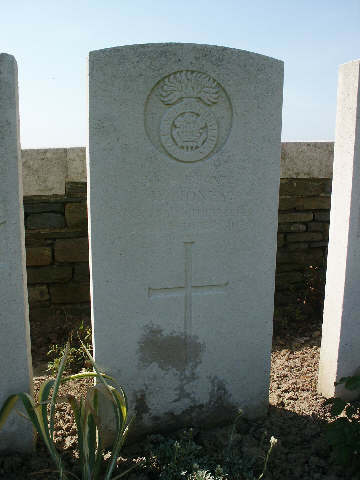 William was executed on Mont Kemmel and buried at Locre Hospice Cemetery. No newspaper recorded his case or his death and his tarnished name was forgotten. It is hard to imagine the appalling effects his death and disgrace had on William’s family and his close friends back in Glynneath. In 2006 the UK government issued an official pardon for all soldiers who died in the way William died. Robert King, the author of a book, Shot at dawn (2014), about the fifteen Welshmen shot for desertion during the First World War, campaigned successfully for William’s name to be added to the war memorial in Glynneath. Remembering the First World War and its immense horrors from the perspective of a hundred years on is a proper and necessary thing to do. Can centenaries, though, have the opposite effect to the one many people hope for? Instead of reminding us of the ever-present danger of cruelty and irrationality, do they sometimes seal off for us – immunise us from – a period now so remote that we can label its actors and events as safely irrelevant to our own times and our futures? Shooting military deserters no longer happens in this country, and possibly may never be practised here again. But as well as feeling revulsion at William Jones’s fate, is there a danger that we congratulate ourselves too readily on having more enlightened and advanced views about the conduct or war and the treatment of soldiers than our primitive predecessors? The way wars are waged has changed since 1917, of course. Mass mobilisation of populations for military service is rarely practised. Professional soldiers are fewer, better trained and more expensive to lose. Generally, it’s claimed, we value human life more highly than a hundred years ago, when Douglas Haig and his generals would think little of sacrificing thousands of troops to gain control of a single hill or wood. In society as a whole, if we’re to believe Stephen Pinker in his book The better angels of our nature, there’s a long-term decline in the incidence of war and violence and our readiness to resort to them, despite the persistence of terrorism. Pinker’s analysis of numbers of people killed in wars and other violent conflicts appears to show a consistent decrease over many decades, indeed centuries. But you don’t have to be as misanthropic a thinker as John Gray to wonder whether Pinker’s is just an updated version of the Whig version of history, according to which human progress leads consistently and inevitably up to our fine present and into a finer future. It may be that, in Gray’s words, ‘improvements in civilisation are real enough, but they come and go’. Casualties on the battlefield may be fewer today. But wars are now routinely fought not on battlefields but across whole countries, and have a direct impact on whole populations. The horrific conflict in Syria, part civil, part proxy war, is a typical example. It would not be hard to find examples of cruel and inhumane behaviour on all sides of that conflict that would compare with any atrocities committed during the First World War. Only the other day the President of the United States warned that he was ready to order the destruction of the entire country of North Korea – and it would be dangerous to imagine him incapable of turning bluster into reality. Britain is one of the leading exporters of lethal military weapons, often to states like Saudi Arabia involved in bloody and disastrous wars in other countries. Even Europe, historically the bloodiest continent of all, hasn’t been free from warfare (in the Balkans) in recent decades. Maybe we should be careful, then, not to fall into thinking that the terrors of World War I belong in a box labelled The Distant Past, whose lid we can lift from time to time before and then close with a superior sigh. In 1917 the state treated Pte William Jones with callous savagery. From the standpoint of 2017 we can deplore and condemn its behaviour. But there are still plenty of William Jones equivalents today who suffer at the hands of state and military power, even if desertion is not their crime.